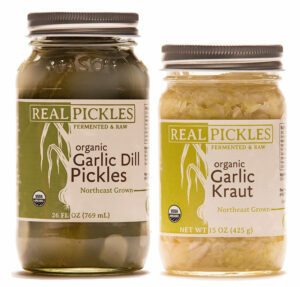 Home / News / Real Pickles Wins TWO Good Food Awards!! 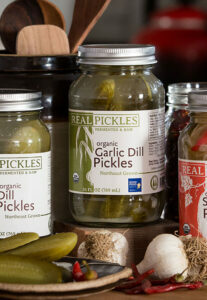 Real Pickles Wins TWO Good Food Awards!! 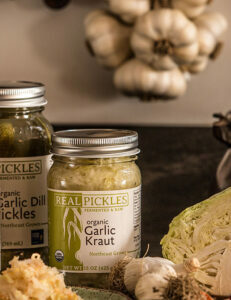 We are so excited to share the news that our Organic Garlic Dills AND our Organic Garlic Kraut received top honors at the 2019 Good Food Awards! The winners were announced Friday January 11th at a 900-person gala at the historic San Francisco War Memorial & Performing Arts Center. 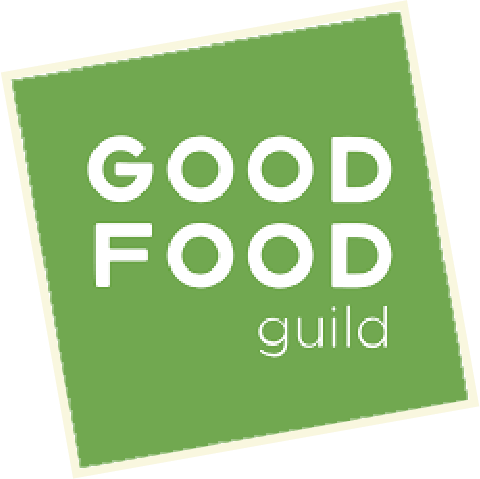 The Good Food Awards recognizes American food and drink crafters who create tasty, authentic and responsible products and, in doing so, better the nation’s food system. 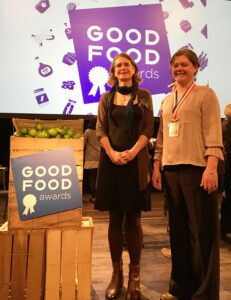 Real Pickles co-owners Kristin Howard and Katie Korby received the awards from renowned chef Alice Waters and Slow Food founder Carlo Petrini. Among the winning products are Stoneman Brewery’s Tractor Ryed IPA from Colrain, MA. Real Pickles fermentation manager Katie Korby joined her husband, Justin Korby, in representing Stoneman Brewery at the ceremony. 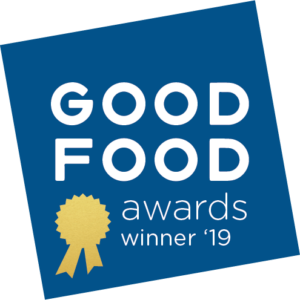 The ninth annual 2019 Good Food Awards announced 224 winners in 16 food categories who are fostering land stewardship, strengthening their communities through their decisions as small businesses, and favoring practices that build soil health and minimize carbon footprints. 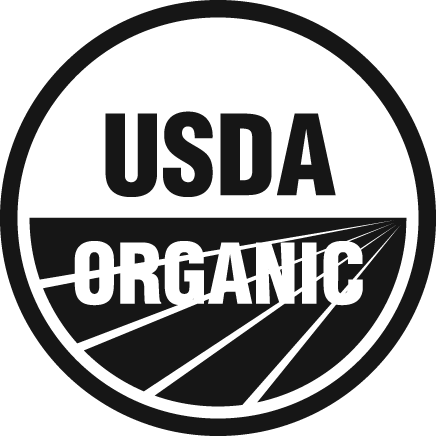 The winners rose to the top in a blind tasting of 2,035 entries, then passed a rigorous vetting to confirm they meet Good Food Awards standards regarding supply chain transparency and environmentally sound agricultural practices.